It’s National Baking Week here in the UK and many people across the UK are baking up a storm to raise money for the wonderful Great Ormond Street Hospital. I thought we’d try another of Hugh Fearnley-Whittingstall’s savoury muffin recipes to start our week of baking, as we all loved his courgette and pine nut muffins. And his combination of carrot, spinach and cumin didn’t disappoint! 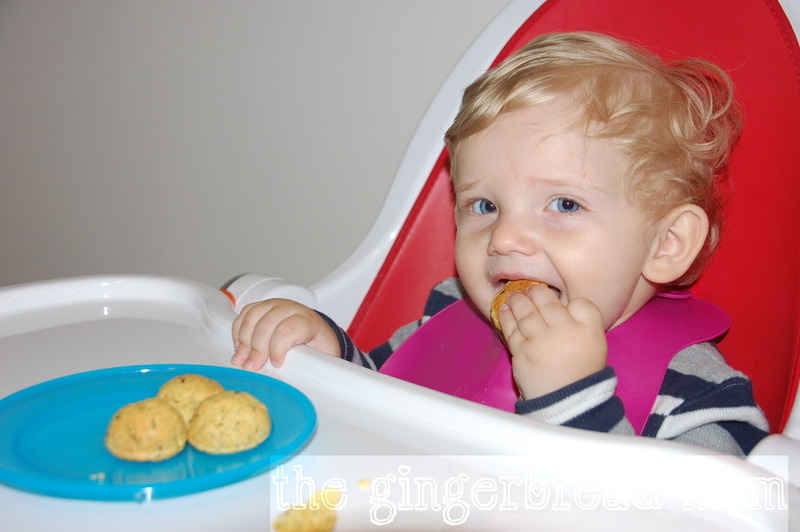 Savoury muffins are such as great finger food for little hands and mouths, and you really can pack them full of wonderfully nutritious vegetables. Usually for me, savoury muffins just have to have some kind of cheese (is that just me?). Cheese makes pretty much everything taste better! Yet, amazingly, I didn’t miss the lack of cheese in these at all. The only thing I’ve changed from Hugh’s original recipe is the amount of spinach. He uses 150g of spinach, while 100g was enough for me (and left me with spinach leaves to throw into other dishes for the rest of the week). If it’s difficult finding the time to cook, try to toast the pumpkin seeds ahead of time, even the day before. If you don’t have pumpkin seeds (they add a fabulous extra texture to the muffins) you can use sunflower seeds or a mixture of the two (Hugh’s suggestion). You could also cook the onion mixture ahead of time. The batter is quite a stiff mixture, but still produces lovely moist muffins which freeze wonderfully (great to have in the freezer to add to lunchboxes). Heat the oven to 200C and line a muffin tray with paper cases. Add the cumin, stir for a minute, then add the spinach and stir until wilted and soft. Leave the mixture to cool. In a jug, whisk the cooled melted butter, eggs and yoghurt. Pour the wet ingredients over the flour and stir with a spatula until just combined. Fold in the cooled onions and spinach, the grated carrot and seeds. Spoon into the prepared cases and bake for about 18-20 minutes, until a toothpick comes out clean. How are you celebrating Baking Week? Posted in family, lunch, recipe, snack, toddler and tagged carrot, cumin, family, finger food, Great Ormond Street Hospital, Hugh, Hugh Fearnley-Whittingstall, muffin, National Baking Week, pumpkin seeds, recipe, savoury muffin, spinach, toddler. Bookmark the permalink. There’s no doubt my offspring loves meat. How could he not when he’s half Australian?! The other night I made him a fish pie. He’s had something similar before and eaten it but not with any great enthusiasm. This time I put a nice topping of mashed potato and carrot on the top with some fresh bread crumbs and grated cheese. Lots of grated cheese. I was hoping the cheese (one of his favourite foods) would encourage him to eat the fish. To skip to the end of the story, he had slow cooked lamb for dinner, part of the leftovers we were eating, and was very happy about it! This recipe has a little bit of spice in it (ground cumin). If you’re not sure about your little one having spices, you can leave it out without any problem. Put all the ingredients in a bowl and mix together until combined. Shape into short sausages about 5cm in length. 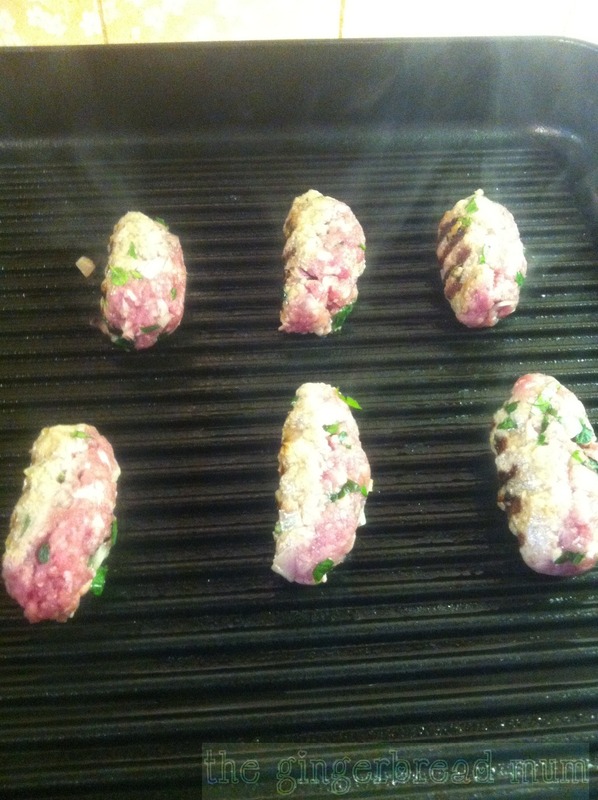 Turn the grill pan down to medium heat and brush the bars lightly with oil. 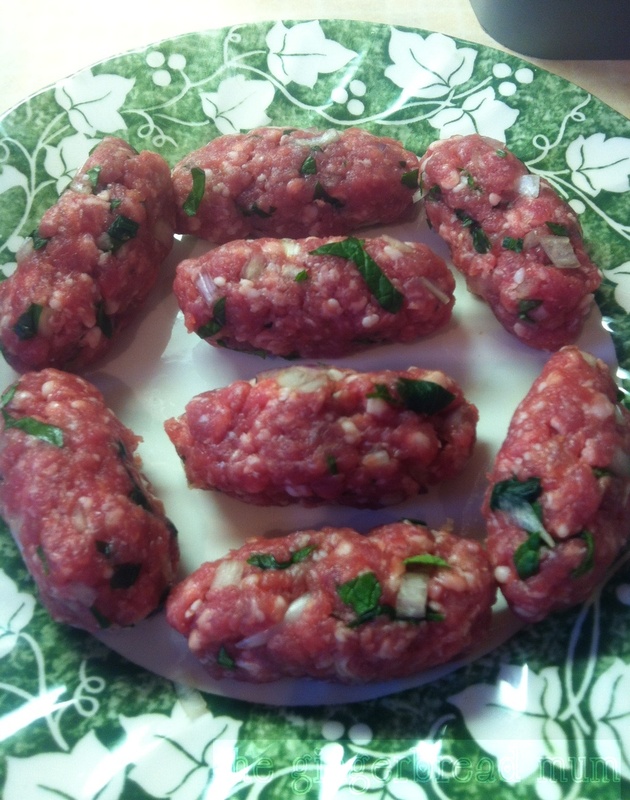 Cook the kofte for about 10 minutes until just cooked through (they’ll be quite chewy if you cook them too long), turning every few minutes onto each of their four ‘sides’ so they cook evenly. 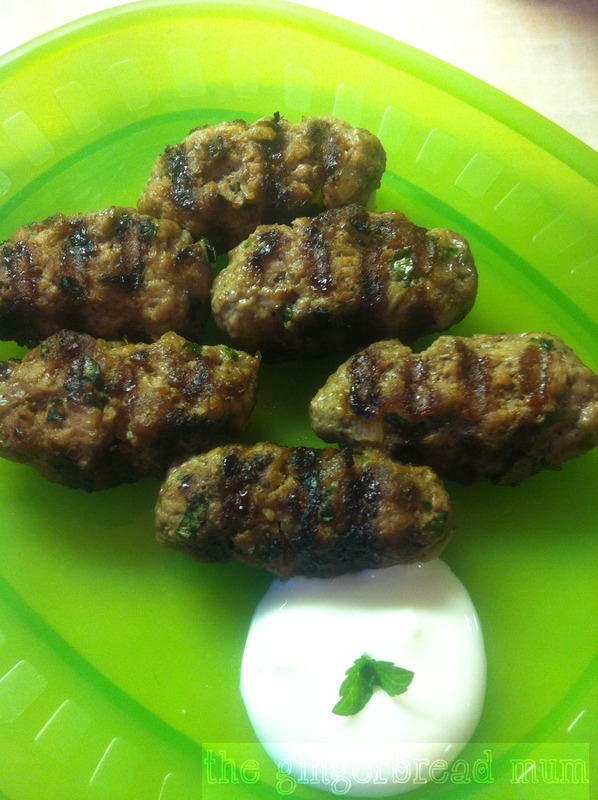 Serve with yogurt as a dipping sauce. 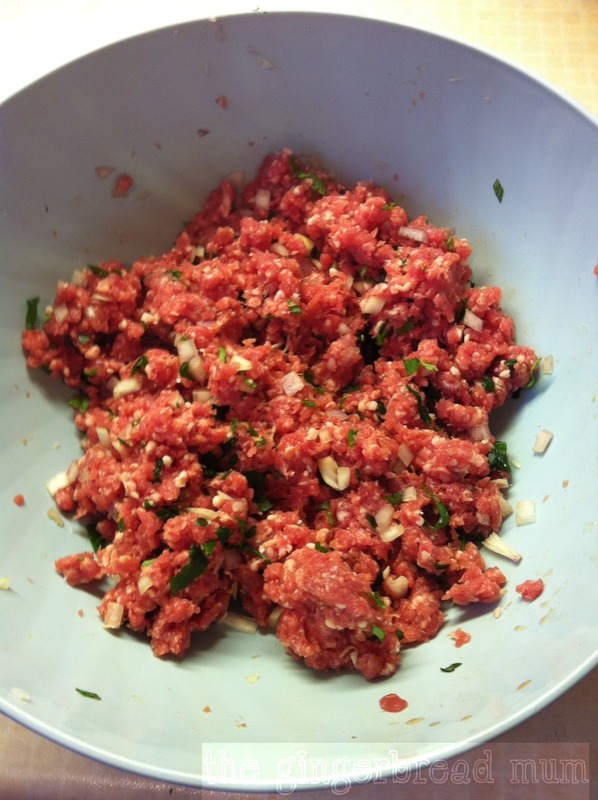 Posted in dinner, lunch, recipe, toddler and tagged cumin, dinner, finger food, freezable, freeze, kofta, kofte, lamb, lamb mince, lunch, meat, mince, minced lamb, mint, onion, parsley, recipe, toddler, yogurt. Bookmark the permalink. This is my (slight) adaptation of this recipe from the Sainsbury’s Little Ones recipe site. The first time I made them (following the recipe exactly), I wasn’t very impressed. To me they tasted rather bland and dry. However, Nicholas loved them, wolfing down five in quick succession! This reminded me firstly not to make assumptions about my child’s taste buds and secondly that I’ve always found falafels too crumbly in texture. I’ve since tried them out on other babies and toddlers, and they’ve gone down a treat every single time. There you go, never make assumptions! Unlike authentic falafel recipes, these are baked in the oven rather than fried. This makes them much healthier for our munchkins but also makes them drier in texture. I’ve increased the cheese (can you ever have too much cheese?!) and added a little bit of spice to give more of the Middle Eastern flavour. I want to start introducing some spices to Nicholas and what I’ve read is you should introduce just one spice at a time to your little one. But if you’re not sure about adding it for your munchkin, just leave it out. I can imagine slightly older toddlers would have fun shaping the falafel mixture into balls (or other shapes), maybe even using the food processor (supervised of course). I can’t wait for Nicholas to be old enough to start helping me in the kitchen. If you haven’t watched Junior MasterChef Australia, you must! You’ll see eight to thirteen-year-olds making soufflés, tempering chocolate, inventing dishes, all more calmly and with more imagination than most adults. My child making me dinner in a few years? Yes please! 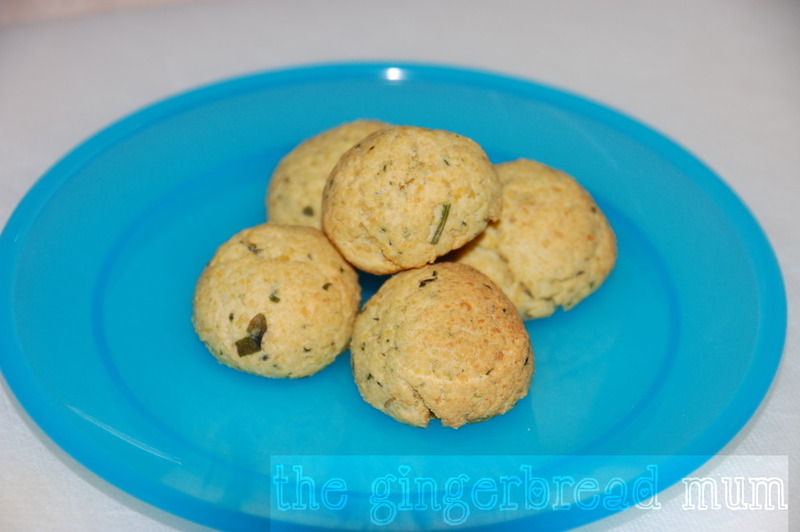 These cheesy falafels are quick and easy, a fabulous finger food, high in protein, freeze really well and are a different snack to have in your bag. Why not give them a try? Preheat the oven to 180ºC, fan 160ºC. Line a baking tray with non-stick baking paper. Place all of the ingredients into a food processor and whizz together until combined. 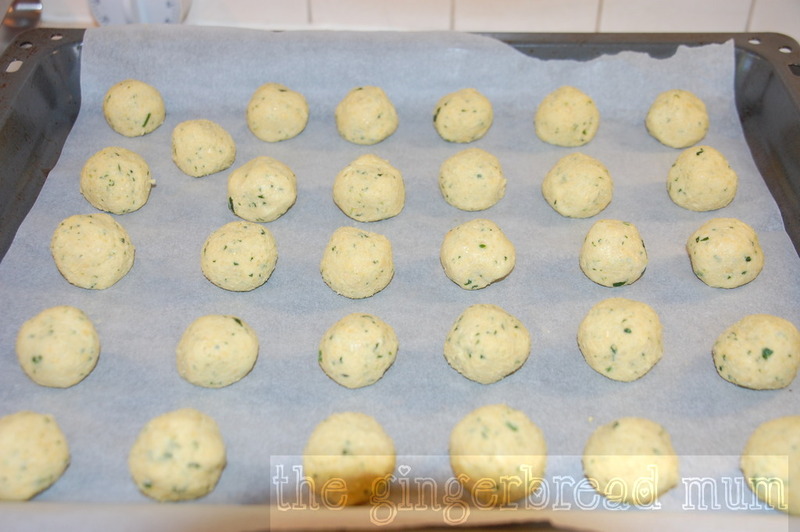 Shape the mixture into small balls (about 3cm in diameter) and place on the prepared baking tray. Bake for 20 minutes until the falafels turn a light golden colour. Tip: wet your hands before shaping the mixture to avoid it sticking badly to your hands. After making two or three, wet them again. How do you feel about adding spices to your baby’s food? At what age would you start? Try another recipe with added spices – my vegetable korma. Posted in dinner, lunch, recipe, snack, toddler and tagged chickpeas, cooking with kids, cumin, falafels, finger food, freeze, kids in the kitchen, snack, vegetarian. Bookmark the permalink.